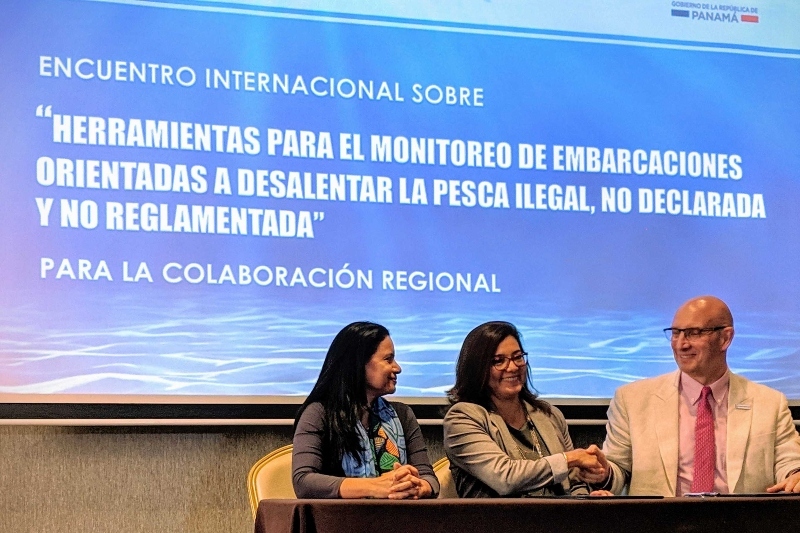 Panama City, 20 March 2019 – Panama today signed a formal agreement to make its national vessel tracking data publicly available through the Global Fishing Watch (GFW) map platform, demonstrating its commitment to greater transparency in fishing activities and to promoting sustainability. The Memorandum of Understanding (MoU) was signed between the Authority of the Aquatic Resources of Panama (ARAP) and Global Fishing Watch, with the support of PACIFICO, a coordination platform comprised of four environmental funds in Central and South America. The parties will work together to bring Panama’s commercial fishing and carrier vessel tracking data into the GFW platform. The MoU follows the Our Ocean conference in Indonesia in October 2018, where Panama’s Ministry of Foreign Affairs expressed its ambition to publicly share Panama’s fishing activity data during a side event hosted by GFW, Oceana and the Fisheries Transparency Initiative. Panama’s fleet comprises 275 fishing and carrier vessels. The country is a major flag state for carrier vessels – used to receive catch at sea and transport to port. Publishing vessel tracking data to the GFW platform will aid Panama’s monitoring and control efforts, including combating Illegal, Unreported and Unregulated (IUU) fishing. Under international law, merchant ships must be registered with a country, known as its flag state. Panama has the world’s largest open registry. Thus, its decision to publicly share their fishing vessel data represents an important step and leads the way for other countries to follow. Publicly sharing Vessel Monitoring System (VMS) data – required by many governments – will contribute towards the timely identification of unauthorized ships, and vessels with non-compliance records. Governments, fishermen and seafood buyers can greatly benefit from supporting transparency efforts, and thus, sustainable fisheries. Indonesia became the first nation to make its vessel tracking data available via GFW in 2017, instantly putting 5,000 fishing vessels that do not use AIS on the GFW map. GFW uses publicly broadcast AIS data to track about 65,000 industrial fishing vessels worldwide. 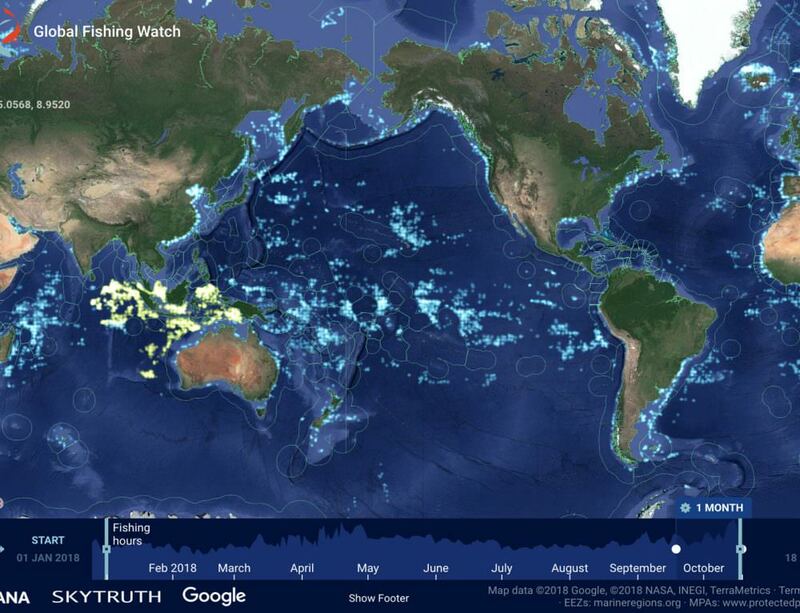 By adding VMS data we can create a clearer view of global fishing activity, bolstering sustainability. At regional level, Peru shared its vessels tracking data for their 1300 fishing vessels via GFW in October 2018. GFW and PACÍFICO also entered into a formal collaboration to support Costa Rica, Colombia, Ecuador and Panama in their efforts to advance transparency and monitoring of fishing activity. GFW and PACÍFICO’s goal is to support the countries’ work to strengthen fisheries surveillance and the use of technology to foster sustainability and to increase environmental and economic benefits for these countries, by building their capacity to use GFW data. Global Fishing Watch is an international non-profit organisation committed to advancing the sustainability of our oceans through increased transparency. By harnessing cutting edge technology, our mapping platform allows anyone to view or download data and investigate global fishing activity in near real-time, for free. GFW was founded in 2015 through a collaboration between Oceana, SkyTruth and Google. Our work is made possible thanks to the support of our funding partners and technology and data providers.